A government watchdog group filed a complaint Wednesday with the Internal Revenue Service against Fair Fight Action (FFA), a nonprofit founded by unsuccessful Democratic gubernatorial candidate Stacey Abrams (Ga.). The Foundation for Accountability and Civic Trust—which describes its mission as "promoting accountability, ethics, and transparency in government and civic arenas"— argues that FFA is supporting Abrams’ political ambitions instead of advocating voting rights, in violation of tax law. The tax law states that a political 501(c)(4) nonprofits cannot provide a "private benefit" to a particular person or group, according to the Associated Press. Over the last couple months, FFA has spent roughly $100,000 for Facebook ads featuring Abrams, an advertisement for a "Stacey Abrams Fundraiser" that featured the nonprofit's logo, some of her travel expenses, and watch parties across the United States when she delivered the Democratic response to President Donald Trump’s State of the Union address. 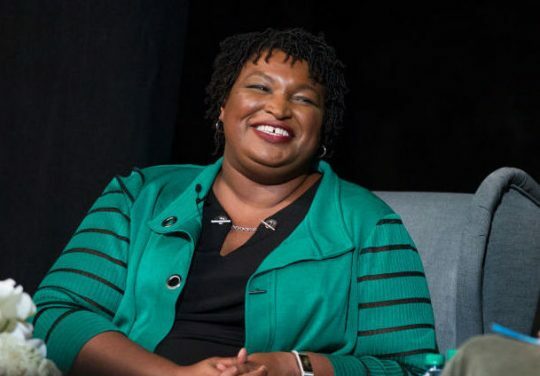 While there is no proof of illegal activity, some of their expenditures on behalf of Abrams could pose a problem if she runs for office again. Adav Noti, who works for the nonpartisan Campaign Legal Center, told the AP, "If we later learn that the spending was to lay the groundwork for a campaign, retrospectively that could be a violation," but said that nothing is wrong if they want to promote their leader now. Lauren Groh-Wargo, Abrams’ former campaign manager and FFA's CEO, disputed the complaint, saying, "It’s no surprise that right-wing hit groups allied with Donald Trump are launching bogus attacks against Fair Fight." "They’re afraid of Stacey Abrams and even more afraid that all eligible Georgians will exercise their right to vote," she said. Other politicians have had support from a nonprofit staffed by associates, such as Our Revolution, which is behind Sen. Bernie Sanders (I., Vt.). However, Abrams may have more problems on her hands with FFA because she has directly led it. This entry was posted in Politics and tagged Georgia, IRS, Stacey Abrams. Bookmark the permalink.